Quantum Theatre stages the U.S. premiere of an acclaimed work about memory. "The way Mnemonic is built opens your mind and senses to the way your own memory functions." 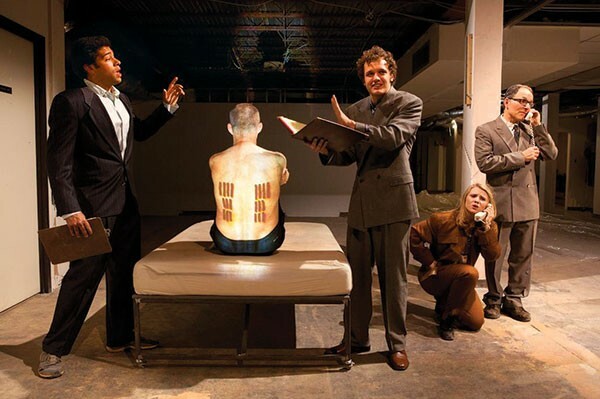 Such was the global reputation of British theatrical troupe Complicite that in 1999, Quantum Theatre's Karla Boos arranged to attend the premiere of its show Mnemonic, in London. The work, a nonlinear exploration of memory and human interconnectedness, blew away the artistic director of then-9-year-old, Pittsburgh-based Quantum. "I immediately asked them for the rights to do it," says Boos. Complicite politely refused — fortunately: The technically demanding show "would have been incredibly beyond my scope in 1999," Boos says. Mnemonic, winner of the London Drama Critics Award for Best Play, tells two interconnected stories set in the late '90s. One involves the discovery, based on a true story, of an unidentified human body frozen in the Alps that proves to be 5,200 years old. The other concerns a man named Virgil, who's trying to find his lover, Alice, who herself has suddenly gone to Eastern Europe to search for the father she never knew. A "mnemonic" is a memory aid. The play (collectively devised by the Complicite company) opens with a monologue in which "Simon" explains memory: We're constantly "re-membering," or reassembling, the fragments in our ever-shifting brains. "We offer you some of our fragments," says Simon, before himself shifting into the role of Virgil. The 38 short scenes, for a cast of seven, overlap or bounce off one another with sometimes-frantic action; the complex sound design (done for Quantum by Joe Pino) partly represents characters' inner voices. Joe Seamans, who saw Mnemonic in New York and is creating the extensive video design for Quantum's production, describes the play as "[Simon's] dream at night — it's almost like he fell asleep in the theater and had this whole unraveling experience." Parallels between the play's two narratives emerge. "The way [Mnemonic is] built opens your mind and senses to the way your own memory functions," says Boos, who directs Quantum's production. 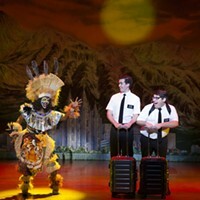 "All theater wants you to have a personal experience. I really had one when I saw Mnemonic." 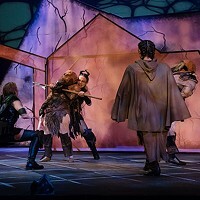 The production is housed in a vacant commercial space in East Liberty's Kirkwood Building, with the audience on risers and the L-shaped performance area featuring the deep upstage reaches Quantum likes. Virgil is played by British actor Malcolm Tulip (from Quantum's John Gabriel Borkman), and Alice by Carolina Loyola-Garcia (Maria de Buenos Aires). The cast also includes Ken Bolden, Patrick Jordan, Antonio Marziale, Andy Nagraj and Katya Stepanov. Another theme of Mnemonic is human interconnectedness, even across time. Mnemonic, says Boos, "wants you to say, 'I understand this ice man who lived 5,200 years ago."